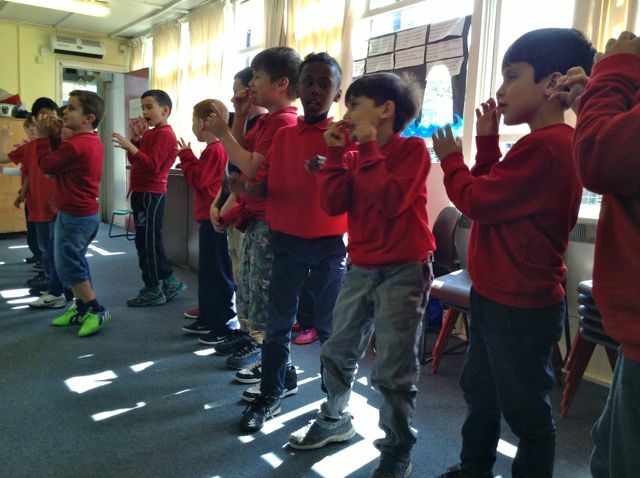 It was great to see so many parents from this year’s Reception classes show up for the meeting – and a Cygnus parent, Irene (mother of Meadow) has stepped up to organize a healthy snack stall for Sport Relief on Friday 18th March. Thank you, Irene, the day is duly saved. Please, everyone, help her out by donating as many tantalizing-yet-sportingly-nutritious refreshments as you can muster (okay, popcorn is fine! And fruit kebabs never, ever, ever lose their appeal). …go a whole bunch healthier with Cristiano and the Tufnell Park Healthy Snack stall. The HSA committee is still thin on the ground, though: more people are needed to take charge. Clearly, plenty of parents from the new intake are now thinking seriously about how they might like to get involved, which is great. For a start, do come along to the Tufnell Park Tavern on Wednesday 20th April at 8:00pm for an informal get-together with drink and food provided. Has anyone out there got InDesign at home? Could you do your own version? Get in touch! It also became clear that lots of parents still do not know about this blog, or that you can follow us on faceBook. Please, if you ever talk to a Tufnell Park parent who declares themselves baffled about school events, urge them to check it out. They need never be in the dark again. 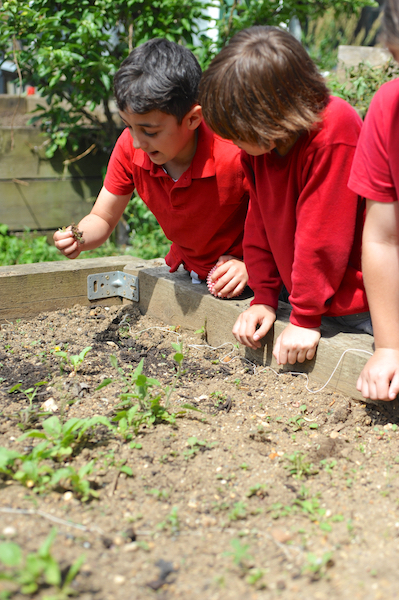 Our kids showed at Give & Gain last Friday afternoon what brilliant little gardeners they can be. Bring them along on Sunday 20th March at 1:30 to plant crops in that freshly-dug earth. Other big agenda items included Family Farm Day (Sunday 20th March from 1:30pm), and the first Summer Fair planning meeting, 2:00pm on Friday 27th April in the school lobby. A final decision was made about the Summer Fair theme: “Cowgirls & Cowboys” – yeeeeehah! Finally, there was a lively discussion about possible Learning Treats for this year and next. It’s a great shame that we’ve only managed one so far in 2015/16, compared to three each year in 2013/14 and 2014/15. With luck, some of the great ideas people came up with – ranging from recycling and the environment to orchestral music – will come to speedy fruition, if there’s a parent championing the cause. The gallery is up for Tufnell Park School’s very own Oscars Awards ceremony and ITC Learning Treat – Animated Films. Settle down for a good, long look at all the wonderful photos. Here’s one set of winners at our glittering awards ceremony on 12th February (we were all about the films, not the outfits). They’ve got everything an artist needs: pencils, blank paper and time. The mystery subject is an ITC-based project that will have all the children from years 1-6 involved in making their own stop-go animation films. 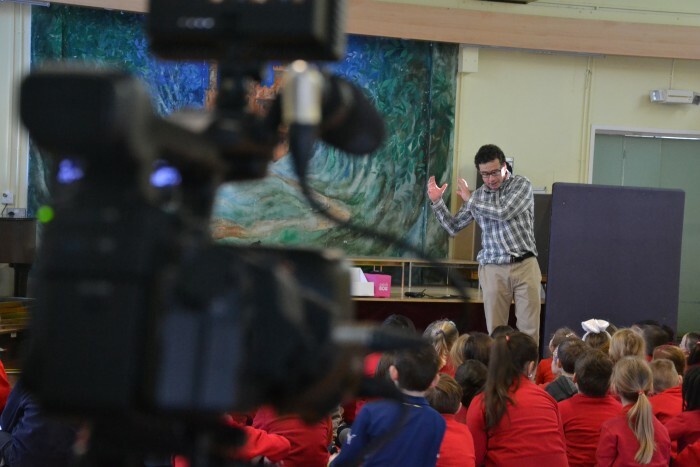 The 10-second shorts will be screened at the end of Safer Internet Week, on Friday 12th February (last day of half term), and the show is open to all families for 50p a ticket, to be donated to Childnet. It’s after school at 3:30pm: put the date in your diary, because it’s already sounding unmissable. Before then, help from parents and carers is needed to get all those movies made. If you’ve got any time on Thursday 14th, Friday 15th or Thursday 28th January and you’d like to be part of it, please contact the HSA and we’ll let Ms del Pozo know. You certainly don’t need to be any kind of expert – the animators from Film & Video workshop are running the project, and will tell you all you need to know. Simon from Film & Video Workshop explains to a rapt audience what they need to do to get film-making. Our own Ms del Pozo was one of those watching what she has set in motion. And the audience could not be concentrating harder. From this simple beginning, they’ll be working all week to make 10-second animated films. Parents: come and see the results on Friday 12th February at pick-up time. We’re making movies! NOW how cool is school? Who’s thinking about Christmas already? Recognize the School Hall? With your help, it will look JUST LIKE THIS at Winter Wonderland. The HSA, of course. 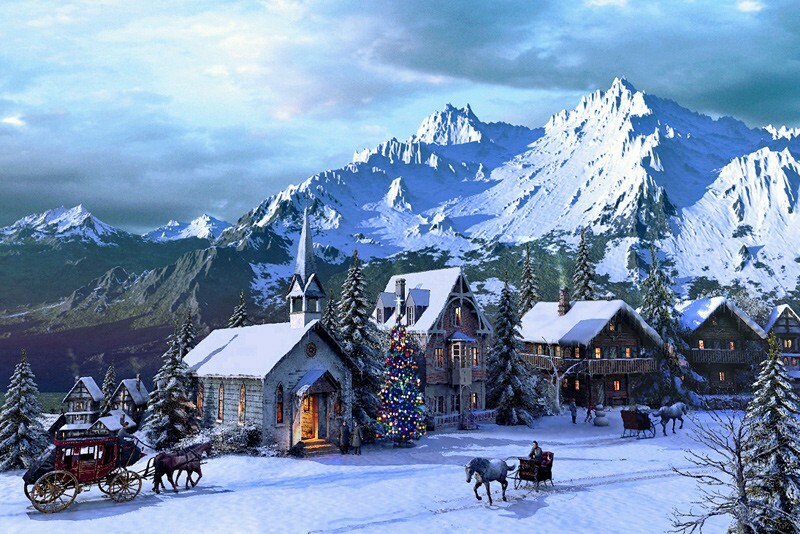 And it’s to be an Alpine Christmas this year: discussions for Winter Wonderland – after school on Friday 4th December – have begun, and they involve pine trees, gingerbread, sausages, sledges, and jolly old St Nikolaus, aka Santa, ho ho ho. Before that, Friday 13th November is a Fundraising Friday for Children in Need. HSA Co-Treasurer, Carolyne, volunteered to lead on this one, and we can expect a reprisal of the super-popular “Head for the Day” competition, plus biscuit and spotty balloon decorating after school… and an old-fashioned cake sale, too. Learning Treats were also up for discussion. The committee approved £1,500 to spend on an ICT Learning Treat during Internet Safety Week in February, culminating in an ICT fair for parents and a Fundraising Friday for Childline. Ms del Pozo (teacher, Columba Class) will lead for the school. Caroline (mother of Nina in Aquila and Annika in Cygnus) had an exciting additional suggestion for a (free) project based on mobile technology developed by a friend of hers, who would lend the necessary equipment and also take part. Thank you, Caroline – she and Ms del Pozo will take discussions forward. The HSA usually funds three Learning Treats in a year and is very much guided by the school’s priorities. 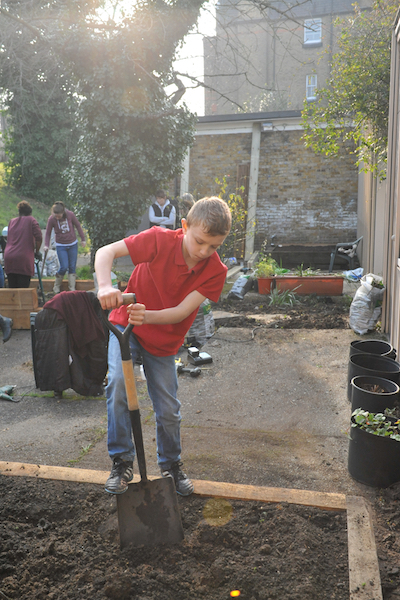 Gardening & Growing is likely to be the second project, already part-funded with a grant from Thames Water’s Community fund. Reading for pleasure is the theme of a third probable Learning Treat. 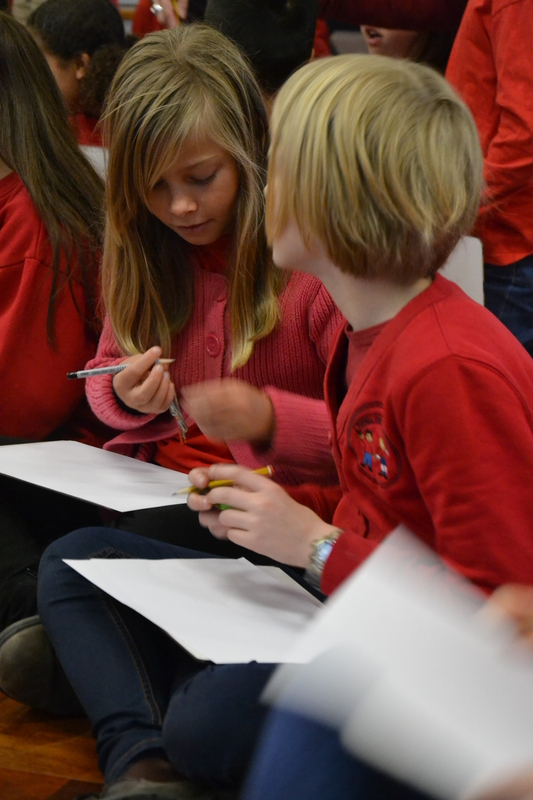 Reading and writing are of course core priorities for our school and the HSA is researching writers who might work with all the children to write and create their own printed book, with copies available to read in every classroom. Please get in touch if this inspires you – anyone out there friends with Jacqueline Wilson? The HSA still very much needs a Fundraising Friday co-ordinator for the rest of the year. Please consider it if you’re interested in getting more familiar with the school but you don’t have a massive amount of time to commit. It’s the same job as being the cake sale person, really. You’d need to be free for hour or so after school on one Friday each month, plus have time to pop in for a quick advance chat with the fundraiser (teacher or club) a week or two beforehand, to check what they’ve got planned and that it’s all underway. And co-Chair Mags is still lonely at the top… could you see yourself in a co-Chair role? Occasional availability during the school day (which could be just at drop-off or pick-up) is probably the most important criterion at present – plus, of course, a desire to help the school. You don’t need to know how any of it works (yet), because Mags has plenty of that knowledge to share. 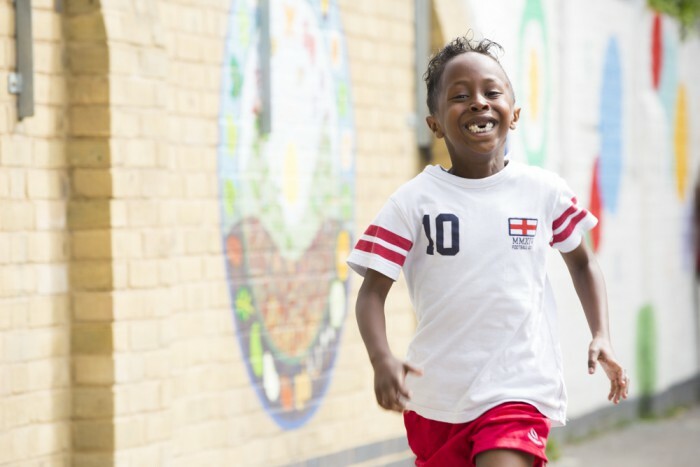 Our kids are so brilliant at running – would it help them to do more of it? Finally… there’s a school in Stirling that’s caused a nationwide stir by implementing a “daily mile” run for all their children, every school day. Several parents have forwarded the suggestion of trying this at our school, where a mile – which sounds long – is just eight laps of the annual Fun Run course. The benefits to children’s health are demonstrable and teachers feel it improves their concentration, too. 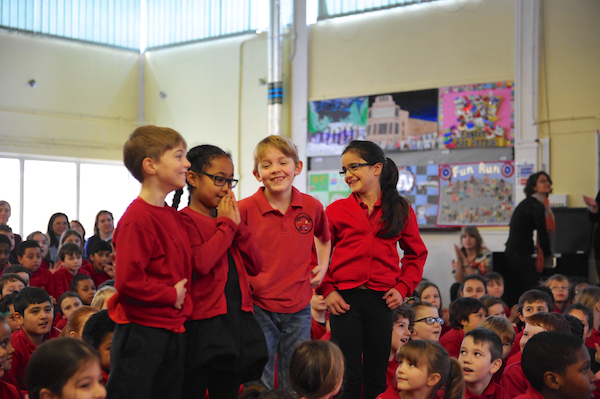 Fitting it into the school day is another matter but the HSA is certainly keen… watch this space. …at the AGM on Friday 9th October. Andromeda classroom was packed for this year’s AGM, with a fantastic showing of both parents and staff. 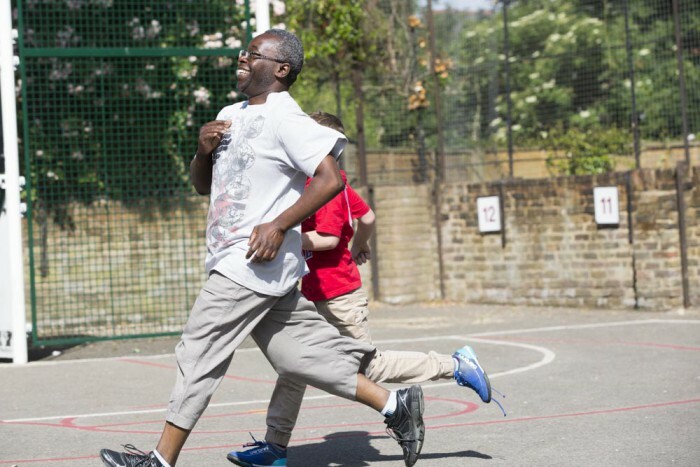 The Annual Fun Run – every year, parents are brilliant about showing up and joining in. 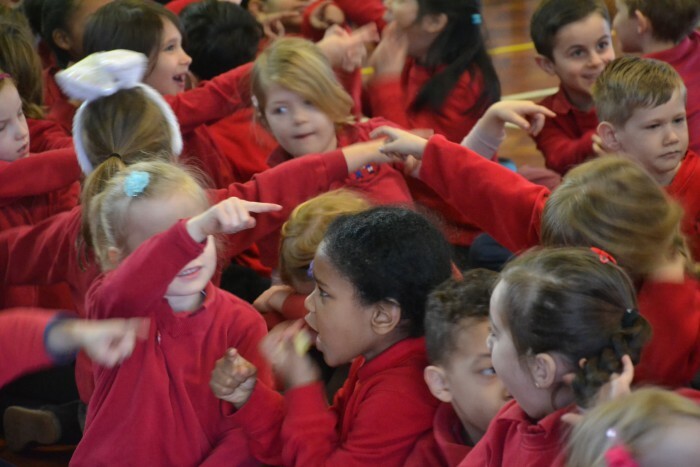 Mr Scarborough introduced the meeting by talking about how important the HSA’s activities are to the school and – in particular – to the children, who love to see their families getting involved. 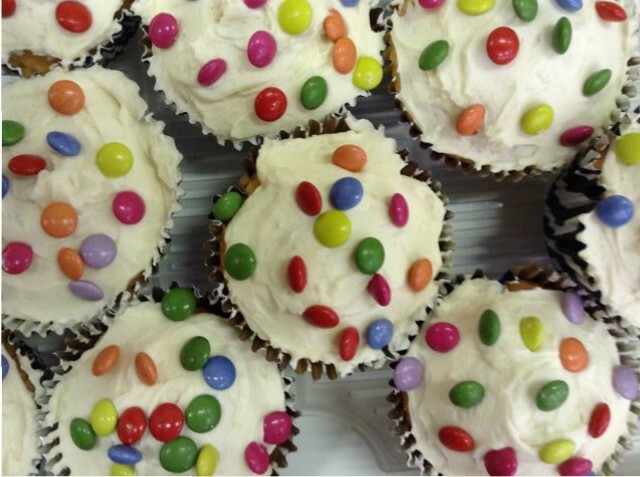 Communications Co-ordinator, Leonie (mother of Griff in Columba and Llewelyn in Ursa), introduced the HSA’s new Fundraising Fridays, which by popular demand are replacing the monthly cake sales. Teaching staff showed up in force to bid for a slot, and without enough Fridays to go round agreed to band together and run their fundraisers two or three classes at a time. Let’s see what lively fundraising activities they come up with: there’s a Halloween themed fundraiser on Friday 23 October. Follow this link for the final schedule for the year. Out-going co-Chair, Fiona (mother of Benedicta in Columba and Sidney in Andromeda), described the HSA’s successful Learning Treats programme, now in its third year. Columba class teacher and ICT co-ordinator, Elena del Pozo was on hand to bid for an Animation Learning Treat during Internet Safety Week in February 2016. If approved, this would culminate in a fundraising ICT fair and film-showing for all parents on Friday 12 February. We’re hoping for a lot more planting and growing in Spring 2016, if fundraising goes to plan. An hour is very little time to encapsulate the HSA’s activities, but co-Chair Mags (mother of Mary in Columba) gave a brief tour of some of the plans that are under discussion: a major gardening/ harvesting/ cooking project; an International Literature/ Bingo fundraiser mash-up on World Book Day next March; and a Give & Gain day to brighten up and weather-proof the playground furniture. She also talked about how money was raised last year and how we spent it. Co-Chair Mags remains in position, and needs a fellow co-Chair to fill Fiona’s shoes. Treasurer Liliana becomes co-Treasurer, with welcome help from new co-Treasurer Carolyne (mother of Emma in Draco and Luke in Cygnus). Communications Co-ordinator Leonie also stays on, as does comms team member Clare (mother of Jack in Columba), with an appeal for increased support from any writers, bloggers, photographers and designers out there – please get in touch. Tatiana (mother of Tilia in Orion) has stepped up as Resources manager and Queen of the HSA shed. In addition, we are all grateful to Lou (mother of Frieda in Delphinus ) and Bev (mother of Jasmine in Orion) for volunteering to help make Winter Wonderland happen this year. We’re thinking about a theme – any ideas? And we’re very, very keen to find a co-ordinator for all those fabulous new Fundraising Fridays – please let us know if you think you could help. It would involve getting in touch with teachers or clubs in advance to find out what they’re planning, and then spending a couple of hours on a Friday, once a month, helping make sure they’ve got what they need on the day. The next committee meeting is on Tuesday 20th October (changed from Monday 19th October) at 8:30pm in the Tufnell Park Tavern, cafe section. All members (in other words, all parents and carers at the school!) are invited to join the committee there. Cupcakes, lobby walls – you name it, we’ll put smarties on it. A stream of “thank you”s were high on the agenda: to all parents who helped out at the fantastic Give & Gain day on 15th May (there were SO MANY of you!) and to our corporate supporters – Jewson, Santander and Chris Stevens – as well; and in particular, to Andromeda and Cygnus parents Rachel, Patrick and Adam for leading design and execution of the new-look corridor and lobby. Replacement furniture and a new IT installation are still to come, but the space is already truly transformed. Is this the face that shipped a thousand lunches? (Well, it’s one of the faces – thank you ALL involved!). Also, a massive thank you to everyone who helped make the extraordinary whole-school trip to Sobell Centre on 18th May happen, and happen so successfully: most notably Carolyne (mum of Emma and Luke) for kicking it off and our co-Chair Fiona for seeing through every detail. The school’s kitchen staff, chef John and Caterlink area manager Noel also went all out to help make the day special, as did the lovely instructors and staff at the Sobell. The forthcoming Summer Fair (Carnival!) on 11th July necessarily took up most of the meeting’s discussion. Look out for the next HSA newsletter in your children’s PACT folders for full details of the stalls that are planned and what we need to make the fair another huge success. It’s certainly never too late to come up with an idea for a stall or activity of your own. And it can’t be said too often: we will always, ALWAYS need more face-painters than we have! 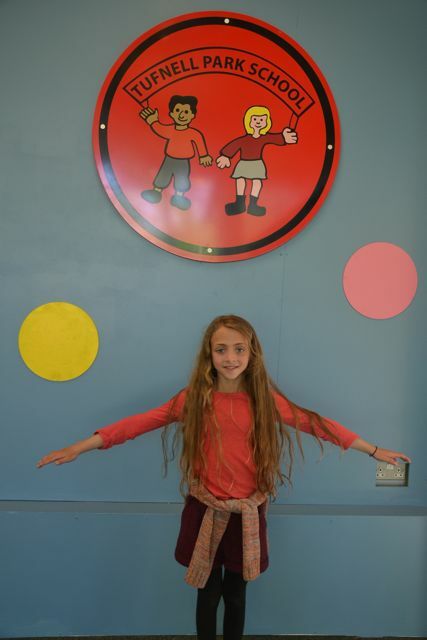 Please volunteer – older siblings are also warmly welcome to help. There’s something peculiarly brilliant about the range of children’s designs for their CD cover. Try to remember to stop by and take a look while they’re all on display in the lobby. Who could ever pick one single favourite? On Friday 19th June, national “Empty Classroom Day”, we’re focusing on ecological water use in honour of our volunteer team from Thames Water, who are coming to help build the foundations for the school’s Early Years forest school. Rain chains, soaker hoses, drip irrigation… there’s a whole new vocabulary to be learned. The annual children’s Fun Run is the following week, Thursday 25th and Friday 26th June. Carolyne (again) and HSA resources manager, Becca, have kindly responded to our appeal for new parents to organise the event now that Fun Run instigator and brilliant long-term HSA supporter, Sara, is moving on. Sing! Swing! Play the air trumpet! Ms Brereton gets Delphinus studio-ready. It’s not news that the mobile’s alive with the sound of music, where Ms Brereton takes her classes: that’s a normal part of school life. Eating smarties makes you smart, which is why we sell a lot at school. Buy more if it’s not working yet. More immediately to hand is the Cygnus cake sale, coming THIS FRIDAY. Please bring cakes and other goodies to sell, as all the cash we make will go direct to the Reception teachers to spend on whatever their classes need. You’re welcome to bring savoury and fruit snacks, too. Children do like them. 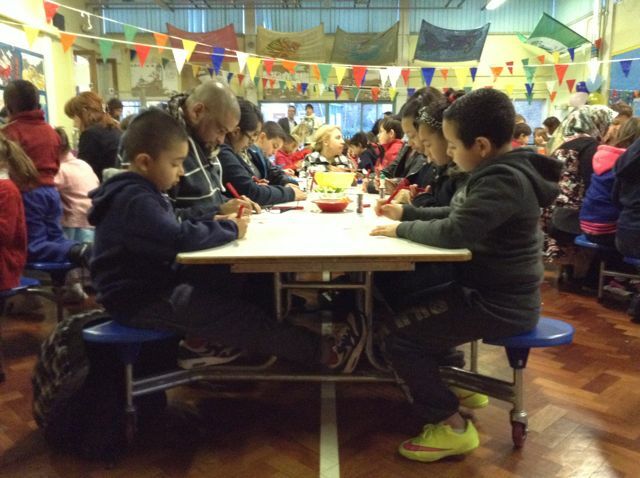 Almost the best thing about Bingo… 50 kids in the room and you can hear a pin drop. What a feast, and what fantastic fun it was at Family Bingo tonight. Thanks so much to everyone who came, to our wonderful organisers, and to all you magnificently generous cooks out there in the school community. Families donated SUCH beautiful food from all around the world – it was out of this world. How is that even possible? 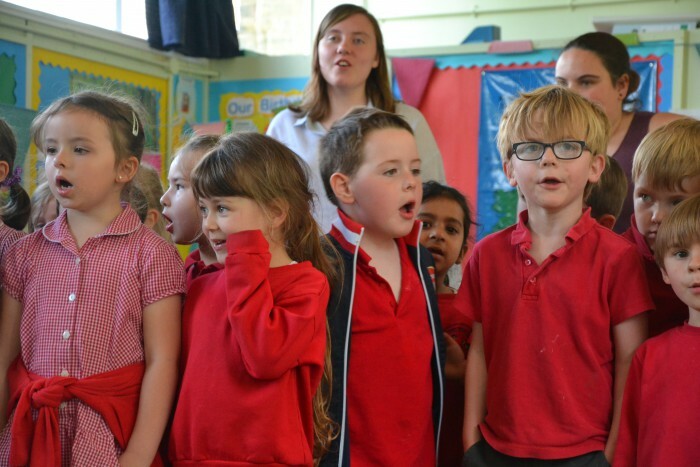 What’s more, early indications are that the event made over £400 towards more inspiring experiences for our children – the programme we call “Learning Treats”. What a truly brilliant result. Here are a few blurry snaps of the evening: there will be better to come, over the Easter break. Our hard-working caller for the night. 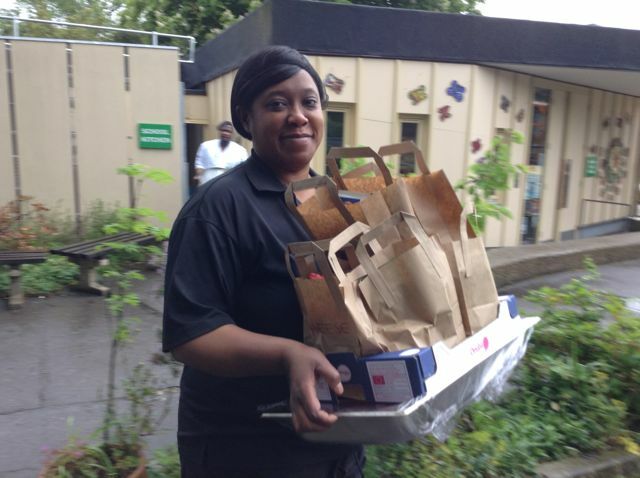 Food mile – thank you so much, all you generous cooks! When bingo palls, there’s always colouring in. Two lucky winners in one! Hidden talents: our head takes a guest turn. What do our children do all day? Philosophy Man on film… click the link below. …but heirs to his legacy have been discussing the pros and cons at a school near you. Thanks to HSA co-chair Fiona, and to the two Tufnell Park parents who donated their professional skills to make a short film of the day, you can get a flavour of why the discussion matters. Click here to view it! See you there! Don’t forget to put your hand up. Why do we think what we think when we’re thinking? “If Billy’s brain’s in Millie’s body… which one is Billy?” Woah! Infants go nuts working their ideas out. You’d think school was always about thinking, wouldn’t you? At Tufnell Park it certainly will be after today, when The Philosophy Man came to give all the children (and adults, too!) the debating, negotiating, imagining, reasoning, brain-wrangling Learning Treat of a lifetime. Cygnus check their brains are still in their heads. Mr Scarborough gets help working out which crime – they’re written on the pink cards – is the WORST. Discussion throughout the day was fevered… and fun. Talking’s about listening, too – of course. Much like the Houses of Parliament, Juniors distribute themselves according to their convictions. The man himself… filmed by two of our parents (thank you) – we look forward to the result.